500% increase in bookings in just 12 months! 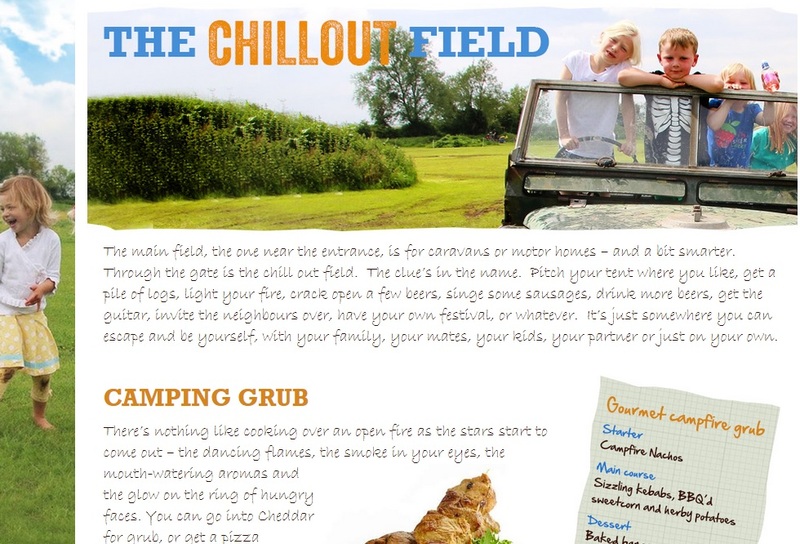 Petruth Paddocks is a campsite on the edge of Cheddar. In the words of Jules, the owner, “It started as a hobby in 2003 and until 2014 had grown organically with little investment but much enjoyment.” But then things began to kick off in a big way – and I’m delighted I was able to play a small part in the success story. 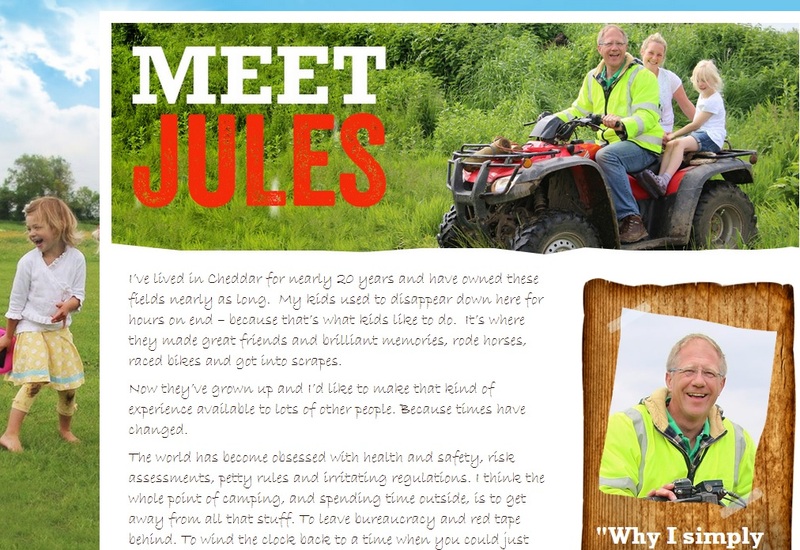 My bit – writing the “Petruth Life”, “About Jules” and “Who’s it for?” sections. In writing these pages I had to express what was different about Petruth Paddocks. 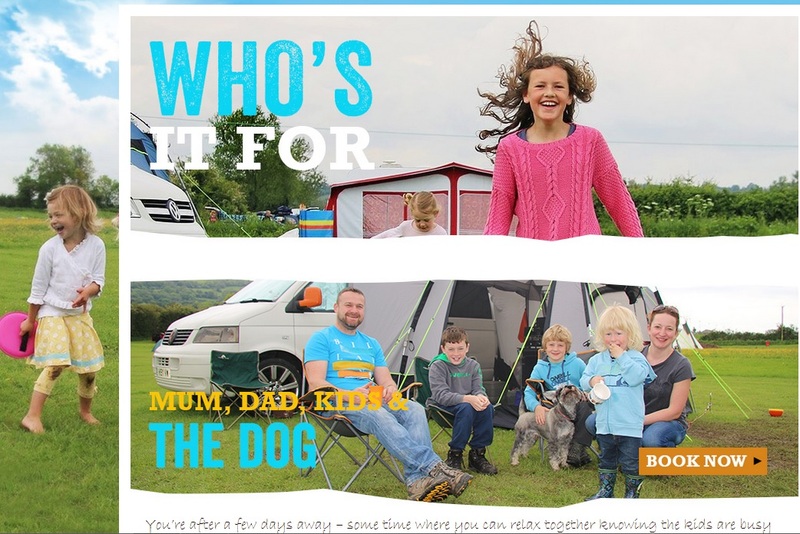 Then find a way to make that attractive and motivating for a variety of different campers and caravanners. What came out in the various discussions, was that the thing that made the experience different, and so attractive, was actually what was missing! People loved it because it was so basic, because it was closer to nature, because it was less regimented, because there were fewer rules, because it was so laid back, because kids could run wild, because you could light fires, because sing-songs were encouraged and you were pretty much free to do as you liked. The site, as I highlighted above, started life as a hobby, and was for fun. That was what made it so unusual and appealing. After a few tinnies the FREE RANGE CAMPING line came about (team effort, not my line, from what I recall, but I love it). I then set about writing copy to support this notion. The trick was to capture the spirit, the attitude and the slightly nostalgic sense of “the camping good old days” and hark back to a time when life’s simplest pleasures were not spoilt by a depressing over-insistence on regulations and political correctness. 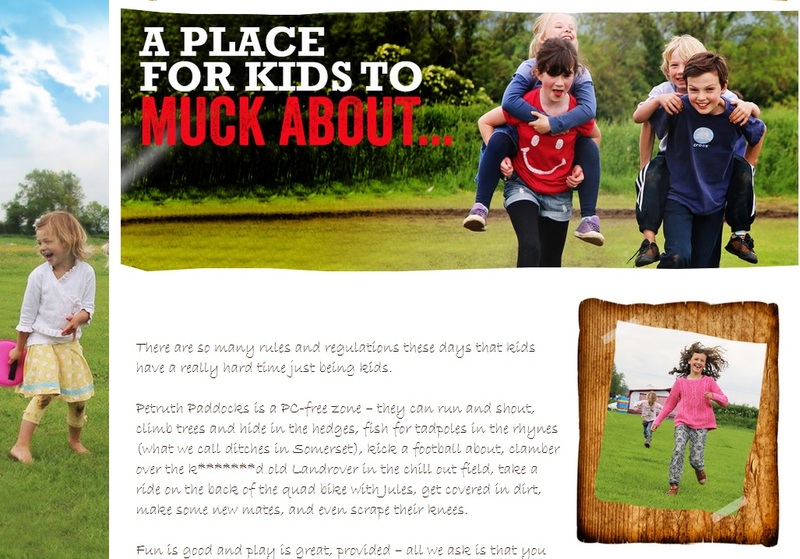 So, Petruth Paddocks – here’s to scraped knees and smoke in your eyes, marshmallows on a stick and tadpoles in a jam jar, flying kites and chasing the dog, looking up at the stars and talking into the early hours. The campsite that’s more like a festival. The best in its field – geddit?! 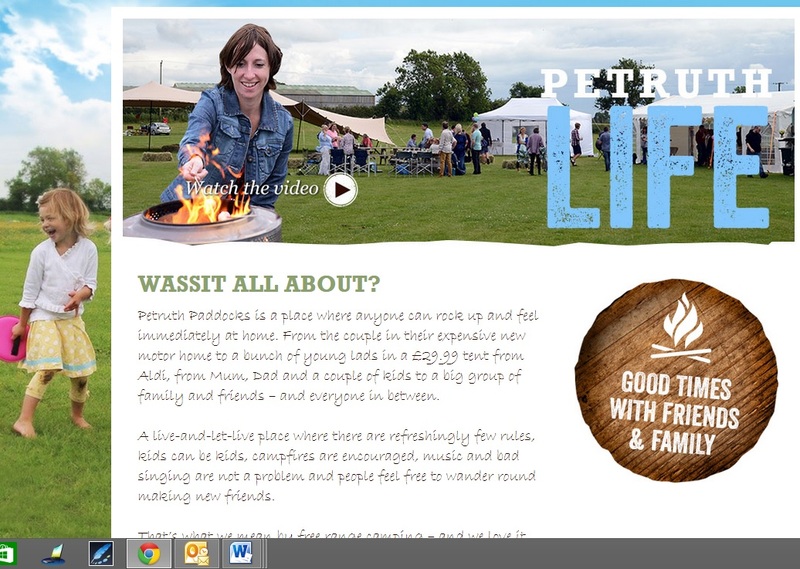 What’s more, leading booking site pitch-up.com, confirmed that Petruth Paddocks suddenly came from nowhere to become their best-selling UK campsite in the UK over 2014, beating over 1,000 sites across the country by a very healthy margin indeed. There were a whopping 1,388 bookings through pitch-up.com between January and September 2014 exceeding the nearest competitor by a massive 23%. The success continued throughout 2015. There were 3311 bookings, up around 225% on the same period in 2024.